Not to be confused with Finestrat Pueblo which is inland away from the coast. Just 45 minutes from La Cala to Alicante airport with frequent airport transfer shuttles (economy or express) or by private taxi transfers. 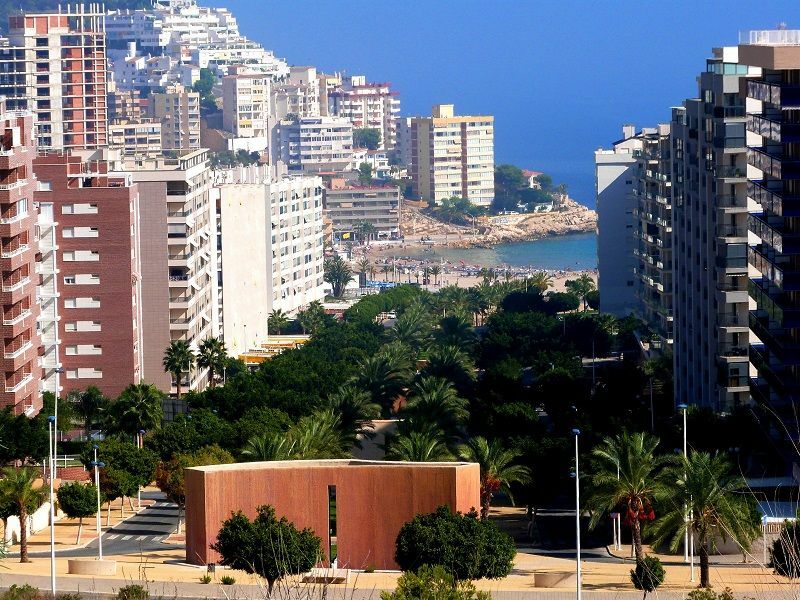 Alicante (ALC) airport is just 54 km from Cala Finestrat with a journey time of about 40 minutes by private transfer or 55 minutes by shuttle to predefined pick-up stops in La Cala bay. Murcia (MJV) airport is 138 km from Cala Finestrat making the journey time about 1 hr 30 minutes by private taxi transfer. La Cala de Finestrat (Playa) is one of the most popular small family resorts just up the road from Benidorm. The sheltered beach is perfect for safe swimming and is a real sun trap. Offering a superb slection of holiday apartments, several hotels and excellent beach-front café bar and restaurants. British visitors love Playa La Cala.